If you're a TV nerd (like us at thecustard) you can't help but feel a bit giddy when you get a first glance at the highlights at Christmas. While it's easy to sneer and get cynical about the offering, it's far more to fun to bask in the excitement of a new festive lineup. The BBC highlights this year feature some expected favourites like Call the Midwife, Strictly and Mrs. Brown Boys, alongside some unexpected treats like Catherine Tate's Nan in our own sitcom and the hugely exciting return of Sherlock! 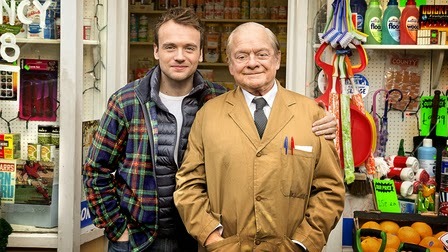 Sir David Jason heads the cast as Granville, who some years back inherited the shop from his beloved but miserly Uncle Arkwright. He now runs it with his son Leroy, a cheerful, good-looking lad with more female admirers than Granville ever had. Granville sees him as the shop assistant but he sees himself as the head of IT. Granville has brought up Leroy himself, with the help of a lot of the local women, after he arrived on the doorstep as the surprise result of a one night stand in Blackpool 25 years ago. The episode follows a day in the life of the shop and its customers including (retired) Nurse Gladys Emmanuel (Lynda Barron) and the Black Widow (Stephanie Cole). Granville attempts to get a date with old flame Mavis (Maggie Ollerenshaw) without her terrifying sister Madge finding out; Leroy shuns the old delivery bike and finds an altogether more attractive way to deliver the orders; and a sneaky new plan to shift a lot of anchovy paste has some rather surprising side effects. 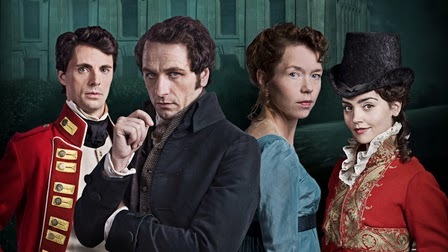 In this, the 200th anniversary year of the first publication of Pride And Prejudice, PD James' remarkably inventive homage to Austen brings her much-loved world to life in a dazzling and original way, with Austen’s best-known characters, Elizabeth, Darcy and Wickham at its heart. Elizabeth and Darcy, now six years married and with two young sons, are preparing for the lavish annual ball at their magnificent Pemberley home. The unannounced arrival of Elizabeth’s wayward sister Lydia, however, brings an abrupt and shocking halt to proceedings when she stumbles out of her chaise screaming that her husband Wickham has been murdered. Orbiting a quiet backwater planet, the massed forces of the universe’s deadliest species gather, drawn to a mysterious message that echoes out to the stars - and amongst them, the Doctor. 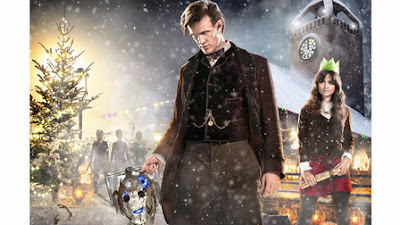 Rescuing Clara from a family Christmas dinner, the Time Lord and his best friend must learn what this enigmatic signal means for his own fate and that of the universe. Julia McKenzie, Joanna Lumley, Rob Brydon and Miranda Hart bring David Walliams’ best-selling children’s novel to life in a special 60-minute adaptation for BBC One. The comedy drama tells the story of schoolboy Ben (Reece Buttery), who is bored beyond belief after he is made to stay at the house of his grandma, played by Julia McKenzie (Agatha Christie’s Marple, Cranford); all she ever wants to do is stay in, play Scrabble, and eat cabbage soup. Until one day, when Ben’s grandma tells him a story that she was once an international jewel thief, and together they go on a wild adventure to complete the one heist she never quite managed in her criminal heyday. 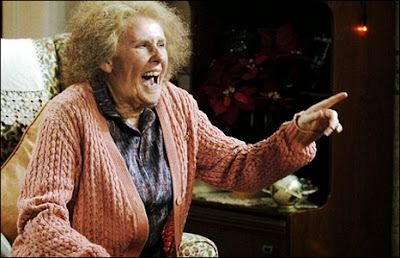 Catherine Tate resurrects her infamous Nan character for a one-off festive special. Whilst Jamie, Nan’s grandson (Mathew Horne) is away in Africa doing voluntary work, a young girl, Alice (Ami Metcalf) has been allocated to Nan by the “Young and Old Buddy-Up Foundation” to keep her company and cheer her up. Alice soon discovers that Nan’s kitchen tap is broken and so accompanies her to the council office to arrange to get it fixed. 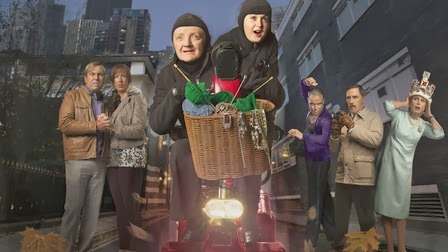 Unfortunately, Nan, in her usual style, causes mayhem and upset at the offices, ending up with her being given a community service order in the local hospital. 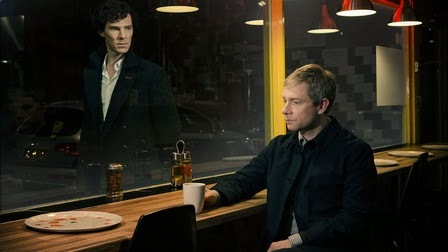 BBC One’s much praised, multi-award-winning drama Sherlock, starring Benedict Cumberbatch and Martin Freeman, returns for an eagerly awaited third series of three, 90-minute films – The Empty Hearse, The Sign Of Three and His Last Vow. 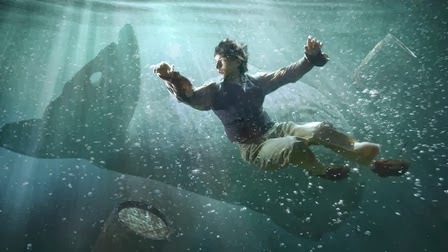 Multiple award-winner Martin Sheen (The West Wing, The Amazing Spider-Man) stars in The Whale, a drama based on true events, written by Terry Cafolla. Sheen plays Old Thomas Nickerson, who tells the story of his life as a cabin boy on the ill-fated voyage of the whaling ship, The Essex. Mel Smith, who died early this year aged 60, was one of this country's most celebrated and recognisable comedy stars. But Mel was not simply a gifted comic actor; he was a theatre and film director, a successful businessman, a racing enthusiast and the showbiz bon viveur of his generation. In this documentary his friends, colleagues and admirers, including Griff Rhys Jones, John Lloyd, Richard Curtis and many others, talk about Mel's unique talents both in front of and behind the camera. Get ready for Christmas with Mary and Paul as they plan their Christmas in this special one-off festive masterclass. They will share their favourite recipes for Christmas classics such as Stollen, Mincemeat Streusel and a Gingerbread House that can be made with all the family, and some less well known bakes - Scottish Black Bun, Tunis Cake and Paul’s Hand-raised Boxing Day Pie – the perfect way to use up all the trimmings from the day before. 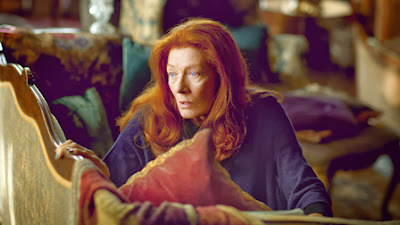 Biographer Margaret Lea (Olivia Colman) is summoned to the home of formidable best-selling novelist Vida Winter (Vanessa Redgrave) who has handpicked Margaret to write her biography. Margaret’s approach to a remote house through the bleak moors sets the tone for a tense first meeting with the ailing Vida who demands to know “What exactly makes you hesitate?” when Margaret appears reticent to take on the job of recounting Vida’s life story. Margaret becomes powerless to refuse when a fascination with Vida’s untold story takes hold and the powerful theme of twins hits a nerve. The two women go on an extraordinary journey together back through the decades and Vida confides, for the first time, the secrets of a dark and unsettling childhood at Angelfield house, her ancestral home. Margaret soon becomes absorbed in Vida’s compelling story, but each step takes her closer to the trauma of her own childhood, which she has spent her life running from. The tragedy she suffered as a young girl refuses to be ignored any longer and Margaret must face her ghosts. 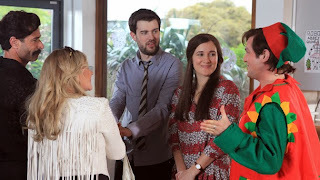 It is time for the Abbey Grove Christmas Play, and with Miss Pickwell no longer around, Mr Fraser decides Alfie (Jack Whitehall) is the obvious replacement to direct this year's production. But with the class undecided about whether to put on The Nutcracker or Robocop, will Alfie's decision to write and direct a plot mash up of Robocracker and casting school bully Grayson as co-lead prove successful? “Happy people celebrate Christmas”. At Swansea’s third largest Call Centre, CEO Nev Wilshere and his staff are in festive mood. Tea-lady Hayley is organising the Office Christmas Party but with a free bar to fund will there be any money left to help transform the local working men’s club into the winter wonderland she has envisioned. Though the official Christmas listings have yet to be released, this taster proves we've a lot to look forward to across the BBC this year. Bring on the festive season! !